Visceral pain can be described as generalized pain inside the body, which originates from internal organs, and is usually hard to identify. Pelvic pains caused by disorders in bladder or irritable bowel syndrome can be considered as visceral pain. This can be caused by compression around internal organs. If your finger is cut with a knife, you will feel a sharp pain – this is superficial pain. 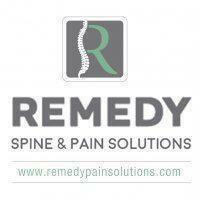 However, internal organs have only a small number of these pain receptors to transmit sharp and rapid pain signals. Therefore, the quality of visceral pain is much different from that of superficial pain. Pain receptors that are found in internal organs are much lightly distributed and they are not as sensitive as those found on the surface of skin. This makes it hard to find the exact location of visceral pain. Besides that, visceral pain tends to radiate to other parts of the body, making the feeling even more unpleasant. Nausea, blood pressure variations, sweating, etc., are common symptoms that accompany visceral pain. Studies show that forty percent of the population experience visceral pain at some point in their life. Some of the pains that can be considered visceral include prostate pain, Vulvodynia, irritable bowel syndrome, bladder pain, and endometriosis pain. Moreover, depression and anxiety can increase visceral pain sensations. Visceral pain is commonly caused by gastro intestinal disorders like irritable bowel syndrome, which is very common in women. Patients suffering from cancer also experience visceral pain, and studies reveal that over 28% of cancer pain is visceral. Experts at a pain relief center can help you control visceral pain. As these doctors have a lot of experience in dealing with patients having visceral pain, they can diagnose the cause of the issue in the least time possible, and recommend the perfect solution for you.